Diane: Mei-Mei, on the heels of publishing Perpetual Child: Adult Adoptee Anthology you were asked to serve as co-founder of the AN-YA Project. Can you discuss how you reached your decision? Also, how do you feel this new role might alter your personal and professional life course? I look forward to the opportunity of gaining greater insight and understanding of the endlessly complex issues experienced by adoptees. Reading and absorbing the stories in what I anticipate will be hundreds of letters for, Dear Wonderful You, Letters to Adopted & Fostered Youth, will enrich, challenge and inspire me. I am so grateful to you, Diane for your confidence in me: truly a gift. The greatest challenge to fulfilling the role of co-founder will be exerting even greater discipline in juggling my numerous commitments as a writer and social activist! Diane: Mei-Mei, you asked other contributors to answer the question— “In what way did your relationship to your piece change [if at all], when reading it in the context of a collective work versus when you originally wrote it as a standalone piece.” Can you discuss how this question pertains to your experience? When I wrote my piece I was focused on capturing moments of my life journey and weaving them together into a tapestry I wanted to share with a wide audience. It felt as if I had opened my arms, hands stretched out in anticipation of experiencing an electrifying touch. As I read the deeply personal stories of the other contributors I slipped into an ever-growing circle in which all hands were linked, uniting us as one. I envision that circle continuing to expand as each new reader joins us, adding his or her hand to our magical circle of connection. Amanda: Discuss a person, place, or event in your life that helped you discover your talent for writing/poetry, or that nurtured your talent. My Mother always maintained that I eventually would become a writer. When she passed away in 1994, she left me two invaluable gifts: a letter marked, “to be read after my death” and a tote bag. She began what was a love letter, from mother to daughter, in 1968, the day I married. Every few years she added an occasional paragraph or two, just telling me how much I meant to her, reminding me to always be true to myself, speaking with pride and joy of my children and my role as a mother and professional. Included in the letter there was a smaller envelope containing the map of the Vestre Cemetery in Copenhagen. Not a single line. Just an X marking her father’s burial site. As I sorted through the neatly arranged suitcases, boxes and bureau drawers in the basement of Mother’s home, I came across a carry-on bag that I could barely lift. I tried to imagine, to no avail, what it could possibly contain. When I unzipped the tote, I burst into tears: my Mother had carefully saved every letter I had written to her from 1962 when I left for college until a few months before she died. There were over a thousand letters, tied in colored yarn to separate them by year. I normally wrote to my mother, according to the family tradition started by her Danish father, every week or ten days, except for the summer months we spent together. I had my mandate. I knew that the time had arrived to set pen to paper to capture the unique history of my mother, her four her siblings, her Danish father and Chinese mother who in 1885 had risked all she held dear to be with the man she loved. Years of research and travel awaited me. My voyage began with a visit to my grandfather’s gravesite. Diane: Do you have a particular time of day which you prefer to write/create? I am a night owl so I do my best work from 11 PM into the wee hours of the morning. However, when on a roll, I tend to write 12-14 hours straight, losing all sense of time! I am aware that I should set aside a certain number of hours every day but between continuous travel and commitments to social justice issues, I write in spurts. Amanda: Are there any adoptees that inspire you creatively? Feel free to answer in general terms of being inspired by the adoptee community if you do not wish to name anyone specifically. One towering figure: Steve Jobs, whose creative drive and genius continues to amaze. And then, as I have read an increasing number of autobiographies, memoirs, academic works, blog posts and exchanged letters and phone calls with other adopted adults and youth, or met fascinating people at conferences or in day to day life, I find that each story, unique yet often with many issues in common, touches me and fires up my imagination. It depends on what I am writing. Sometimes the urge is so strong that I can write anywhere, but I prefer to write at night when the house is quiet, no phones ringing and everyone else has retreated to bed. I normally compose in my head, hearing the words as they pour forth, so when I actually sit down to type, the writing flows with ease. What requires far more time and effort is the process of revising. Amanda: Is feedback from other adoptees, other adoption community members, colleagues, or friends/loved ones a part of your creative process? If so, how do you include others in the creation of your pieces? I have belonged to a memoir group at the Brandeis Women’s Studies Research Center for over 15 years. The input of the other members is critical and immensely helpful- their comments push me to express myself more clearly, delve more deeply into issues and simultaneously be more succinct. I also share my writing with family members and close friends as well as a select group of writers. I follow suggestions that enhance my style, remind me of details I take for granted so fail to include, and strengthen the structure and narrative arc. 1. Become twice as productive as a writer and activist and effective as a healer without further reducing my hours of sleep! 2. Carve out time for my personal life. 3. Not feel guilty when not working. Amanda: Do you feel that your writing is in any way a legacy to your posterity or a tribute to your ancestors—or both? If so, in what ways do you feel your ancestors/descendants appear within or inspire your writing? Both my memoirs are steeped in the history of the times [1857-1999], in China, Korea, Denmark, the US and Europe. Through my relentless research and worldwide travels over the past 20 years, I have sought to link past and present, to bring together the deceased who have guided me in my quest for the truth, both between themselves and with family members of my own generation and my children’s. My memoirs are inspired by the love for my Mother who adopted me as an infant, the passion she instilled in me for my cultural heritage and respect for my ancestors. I hope that once published, they will inspire others to embark upon a similar journey of self-discovery and exploration. Diane: What projects are you currently working on? 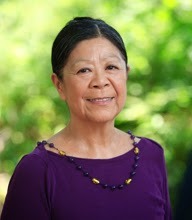 I am revising my memoir on the 27-year-long quest for my natural parents’ identity and history: Circles of Healing, Circles of Love: A Labyrinthine Journey in Search of Connections, and continuing to work on a second memoir, In Pursuit of Images and Shadows: A Chinese Adopted Daughter Seeks her Mother’s Past. Besides the AN-YA Project, Dear Wonderful You, Letters to Adopted & Fostered Youth, which is still at the initial stage, I am co-editing an anthology on loss, Sweep Up the Heart: The Wisdom of Our Grieving. Diane: Have you read any great books recently? I always have a pile of classics next to my bed, Greek and Latin, Shakespeare, Dante, Manzoni, Stendhal, Camus, and many others, which I read and reread. Right now am delighting in Edward Rutherfurd’s books, hefty historical novels revolving around the birth and development of great cities, told through multi-generational family stories: London, Paris, Ruska. Sarum. A very warm welcome to the incredible Mei-Mei Akwai Ellerman as the new Co-Founder to the AN-YA Project! And thank you to Mei-Mei for this wonderful interview.